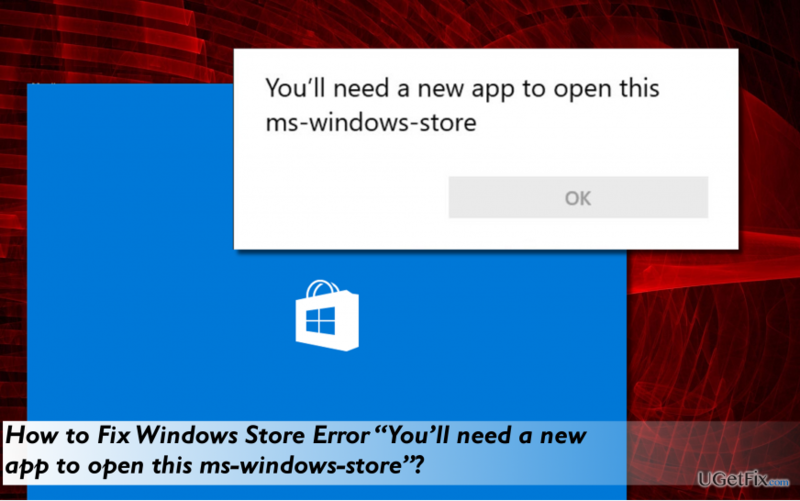 How to fix “You’ll need a new app to open this ms-windows-store” error on Windows Store? Home »	Fix » How to fix “You’ll need a new app to open this ms-windows-store” error on Windows Store? Issue: How to fix “You’ll need a new app to open this ms-windows-store” error on Windows Store? “You’ll need a new app to open this ms-windows-store” error when trying to open Windows Store. I used it a couple of hours ago and everything was fine. Have no ideas what might have happened. Would highly appreciate your help. Windows Store is one of the pre-installed Windows 10 (and older versions) application, which provides access to thousands of programs compatible with Windows. Programs available on the Windows Store for download are digitally signed, which means that developers ensure that the programs are error-free and safe to use. On top of that, Windows Store service provides Windows OS with the latest updates and patches. Thus, if Windows Store malfunctions, you may have serious problems. Sadly, Windows Store bugs are more common than Microsoft expects. Typically, people are able to launch the app, but an attempt to download or install an app or update ends up with a failure. Nevertheless, sometimes Windows Store refuses to run and displays an error “You’ll need a new app to open this ms-windows-store.” Microsoft hasn’t yet acknowledged the issue, but there are some fixes that may help you to fix “You’ll need a new app to open this ms-windows-store” error and we’ll provide them down below. Windows Store app may fail to work due to various reasons. The culprit may be Windows Store cache, third-party apps, damaged system files or similar. However, the outcome is clear – a complete Windows Store damage. To fix “You’ll need a new app to open this ms-windows-store” error, we would recommend you to scan the system with reliable anti-malware, then clear Windows Store cache and, finally, re-install the Store. Malware can damage Windows Store files and trigger the “You’ll need a new app to open this ms-windows-store” error. Thus, we recommend installing Reimage and running a full scan with it. This tool is useful in particular when dealing with various system errors as it primarily optimizes the system and then check for PUPs and malware thoroughly. Press Yes on the UAC window and close everything. Restart Windows Store app and try to download the app you needed. Click Windows key + R, type PowerShell, and press Enter. Now type Add-AppxPackage -register “C:\\Program Files\\WindowsApps\\” –DisableDevelopmentMode command. NOTE: replace PackageFullName with the Windows Store package name by pressing “Ctrl + V.” Besides, instead of C: type the letter of the root driver of your system. 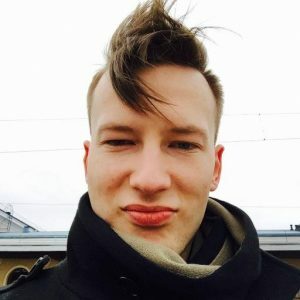 Reopen PowerShell with administrative privileges as explained above.